Dettol Gold for 100% Better Protection: If you can give the best to yourself and family, why not? Get the best for your shower moments! Yes - we all want to shower. I shower a minimum twice daily - one in the morning (pantang kalau tak shower!) and one in the evening! 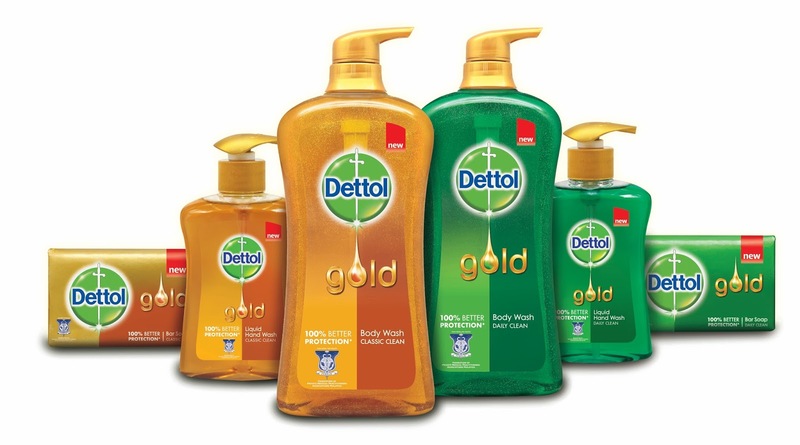 The all-new Dettol Gold range - featuring body wash, bar soap and liquid hand wash. Yes, that including all the glitters you see in the product itself for body wash! And some just want the water run through their body.... such a relaxing moment! The glitters will be gone the moment it's out of the bottle, so don't worry! You and everyone can now give their family 100% better protection against germs! Considered the gold standard in germ protection, Dettol has further strengthened its line of innovative products with the addition of Dettol Gold. Formulated to deliver 100% better protection versus other antibacterial body wash*(*as tested against indicator organism). Celebrity Scha Alyahya understands the importance of keeping her family happy and healthy. The actress, entrepreneur and mother to 2-year-old Lara Alana juggles many roles in a day. “Attending shoots, interviews and events, and meeting people every other day are part and parcel of my life. Spending a lot of time in public spaces puts me in contact with germs and bacteria. When I get home, I want to spend as much time with Lara as possible, and I want to be able to play and interact with her without worrying about spreading germs to her. Children’s health is more fragile than ours, so I really have to be careful,” she said. “Thankfully, with Dettol Gold, I can enjoy the better protection for my family, so that my husband, Awal and I can embrace Lara and give her our undivided attention every day we get home. Plus, I really love the Lemongrass Oil fragrance, which makes me feel like I’m at a spa! It smells and feels luxurious on my skin, and I like that it gives me best-of-class anti-bacterial protection while enjoying my shower,” added Scha. She look so gorgeous, ain't it? OMG! With Dettol Gold, the gold-standard in protection just got better-looking and feeling. Try it today to feel the difference for yourself! Yupe, this is my personal favourite! Or maybe, I just like it green. So, especially for those who is active or you just like to pamper your skin and body, this range is perfect for you! And if it give you better protection, why not? Kan? Deelicious or "theblokewhoblog" is where I share my thoughts and views or sometimes, rants. 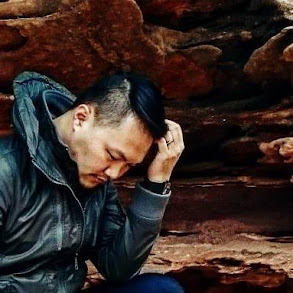 Blog to my heart content covering good food, great coffee, awesome fashion, useful grooming/beauty tips for men and lifestyle stuff. There's reason why I am uncommon, unlimited and unreserved. Life is too short to keep on a tight leash. And yes, I am an animal lover, especially dogs. REVIEW: Truefitt & Hill, Grooming Men for Greatness! REVIEW: L'Occitane CEDRAT - a complete new range for men!